The steeple holds the village in place. The forest of pines anchors the sky. A weathervane tells the wind where it has been. The lightning rod trembles saving the cattle. Flagpoles signal seasons of sorrow. Flags stood at half-mast one year ago. The children were very young. 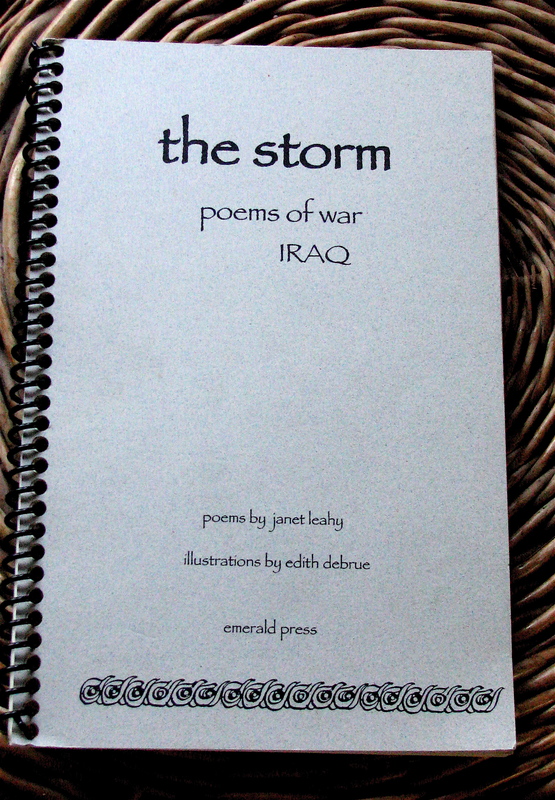 Janet Leahy is the author of The Storm, a collection of poems about the Iraq War, and Not My Mother’s Classroom, poems drawn from her experiences as a teacher in Milwaukee public schools. Though cooking is not her first love, she will have a poem published in a new cookbook forthcoming from The Clearing Folk School. Janet lives in New Berlin, Wisconsin and serves on the board of The Wisconsin Fellowship of Poets. Everything that needs to be said in just a few words. Thank you, Janet. A magnificent poem! A moment frozen in time, looking back where the wind had been; the ending so powerful! Thanks, Janet. their lessons. Our lessons. When do we learn? I hope this is sent to every Republican congressman/woman. Breathtaking poem. I realized I wasn't breathing until the last line-had not finished their lessons. Thank you . The opening line, the closing lines--I feel the pangs again. So many lines are my favorites: "A weathervane tells the wind where it has been." and the heart-stopping final line, "The teachers had not finished their lessons." Powerfully captures that moment. So sad that this is a subject needing a poem, but beautifully done, Janet! Lovely. Last line says everything. Captures the deep loss. Says so much, so beautifully. Thank you, Janet. The days fly by. It is important to remember this sad day. Thanks you for reminding us. This brings tears to my eyes. Thank you for your words.